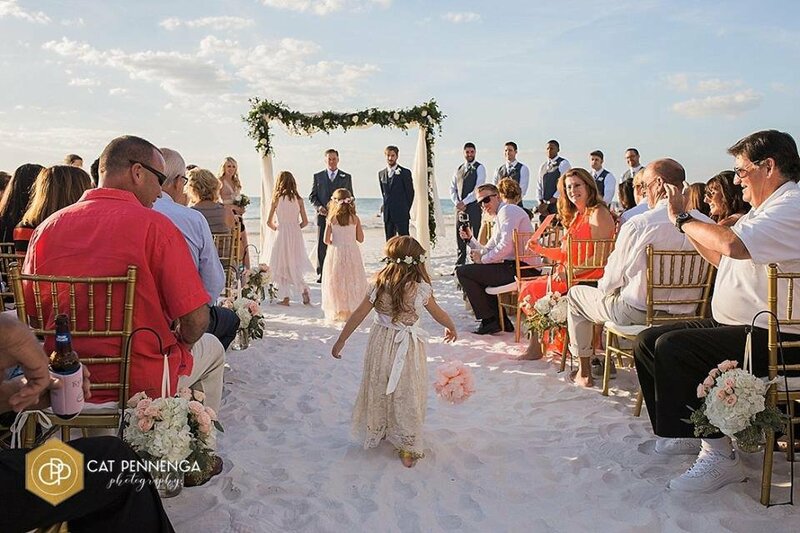 Siesta Key Beach was host to another incredible destination wedding! 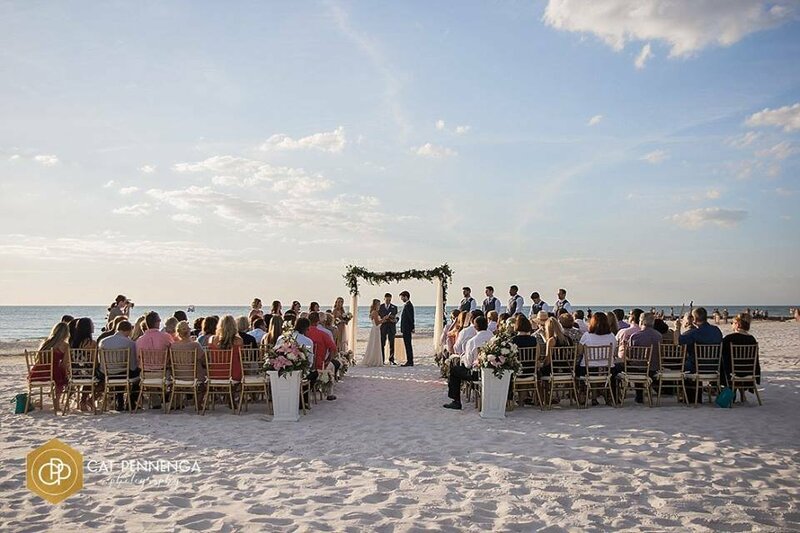 It makes perfect sense considering Siesta Key Beach was voted #1 yet again by Dr. Beach! 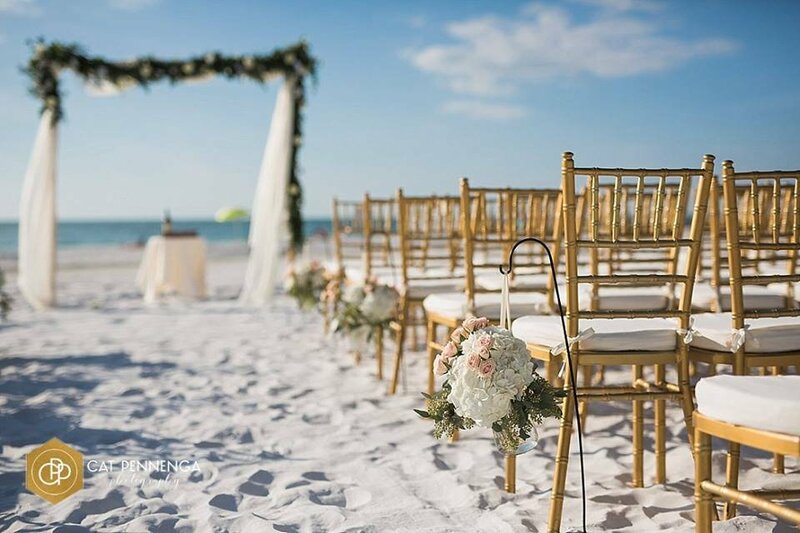 It is a flawless backdrop for your perfect destination beach wedding in the always beautiful Sarasota, Florida! 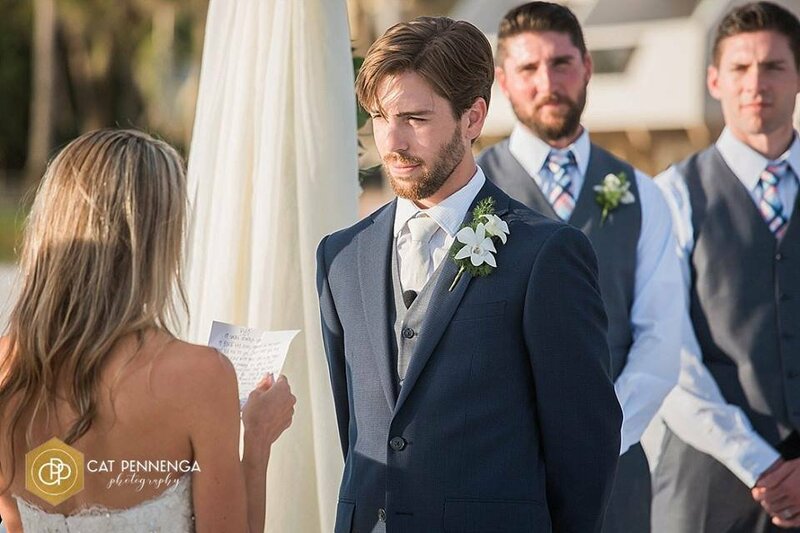 The wedding ceremony for this lovely couple was held on Siesta Key Beach under a beautiful arch with a garland of greens and loose fresh flowers that was later used on the head feasting table during the reception at the Sunset Beach Resort. The gorgeous aisle flowers on shepherd hooks also had double duty as they became some of the guest table centerpieces for the reception as well. 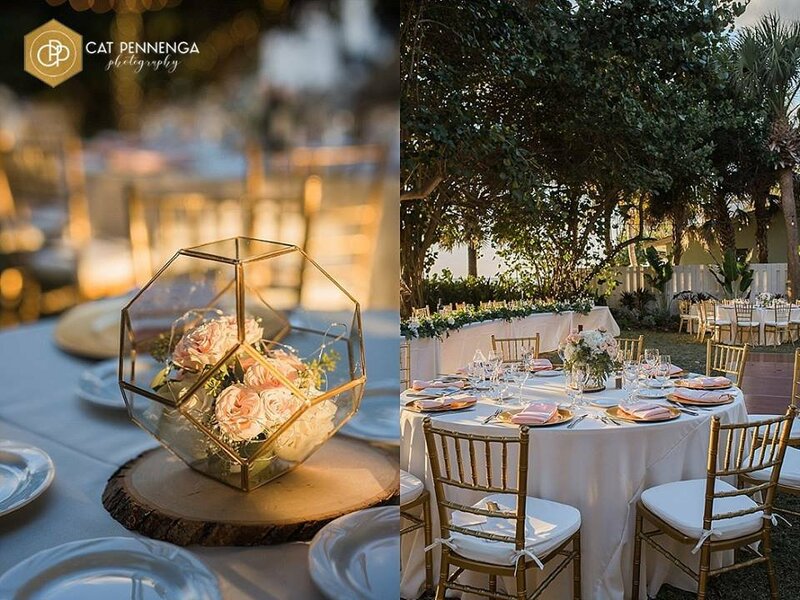 Working within a budget is no problem for us—we love a challenge and finding creative ways to give a bride her dream look! 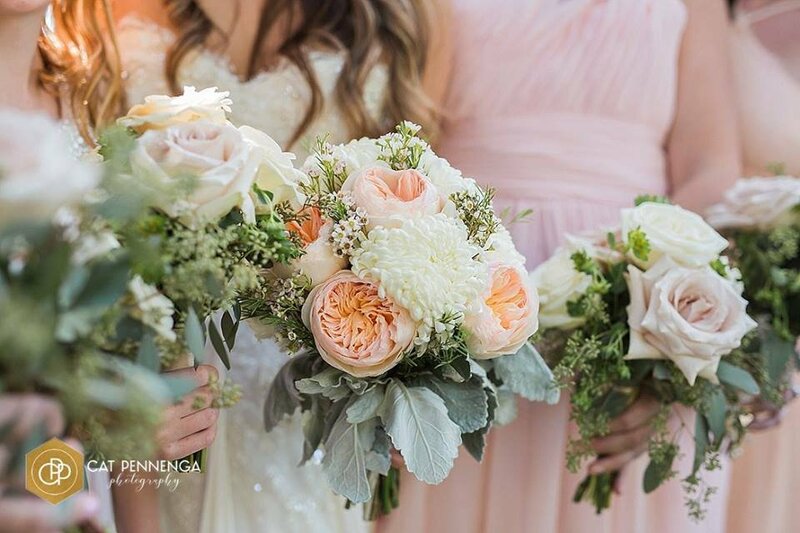 The color palette for the floral design was peachy and blush tones with each of the bridesmaids in different gowns in these soft tones. 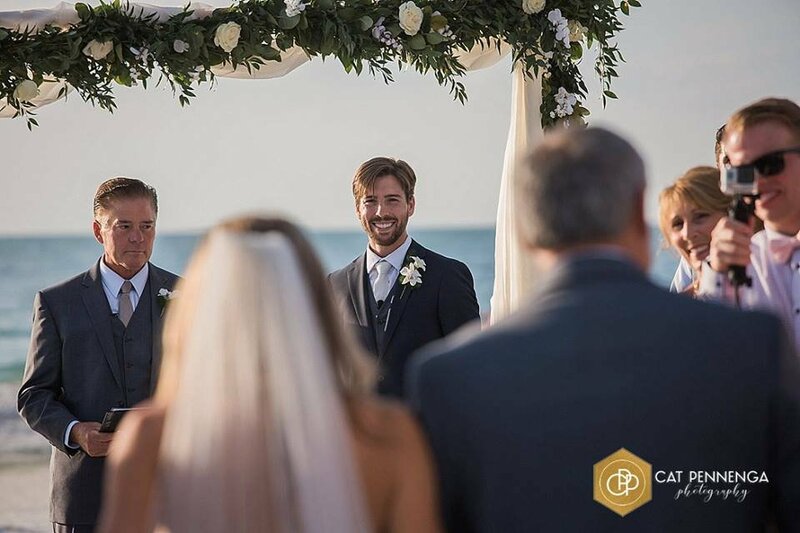 It was a lovely and elegant look! 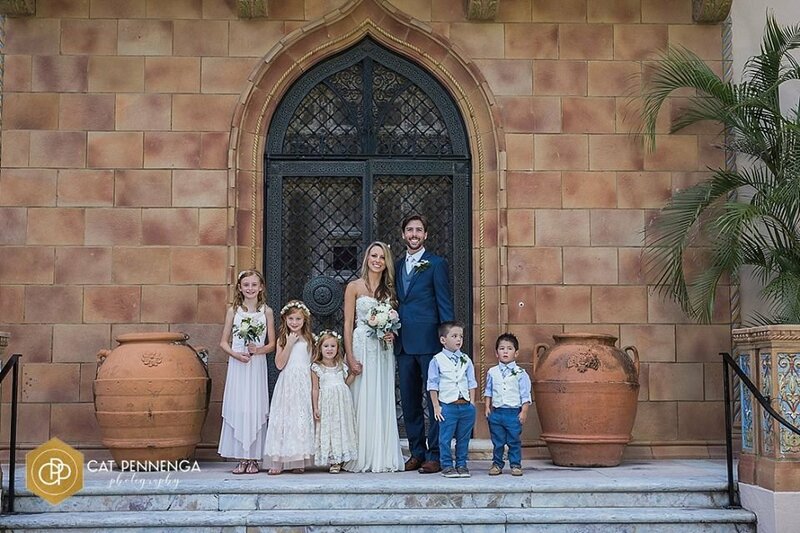 And the lush greenery helped make the flowers pop! 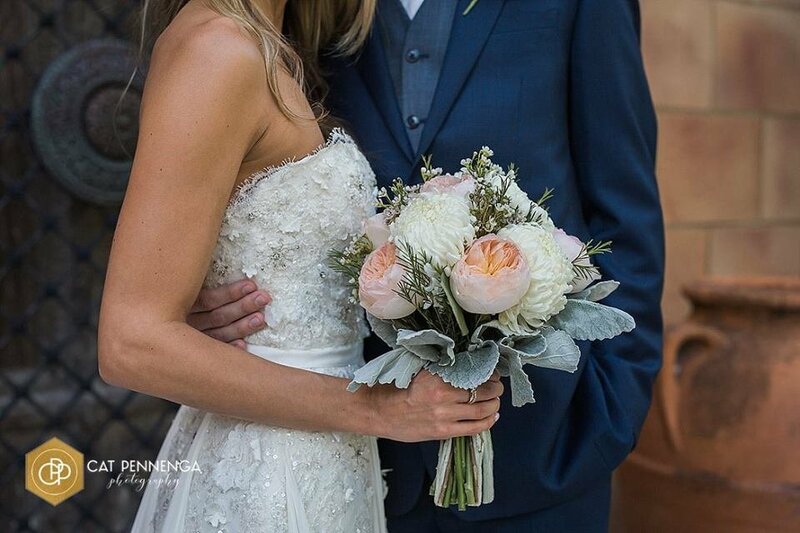 The bride chose the pretty and popular David Austin Juliette garden roses for her bouquet with mums and wax flowers and completed the look with the silvery dusty miller on the underside. 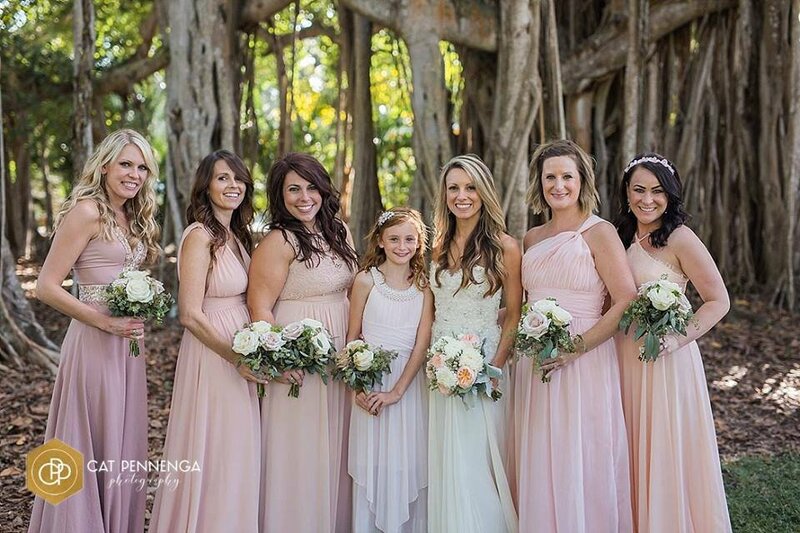 The bridesmaids carried a simple open rose bouquet with lots and lots of greenery. It’s a very charming bouquet! 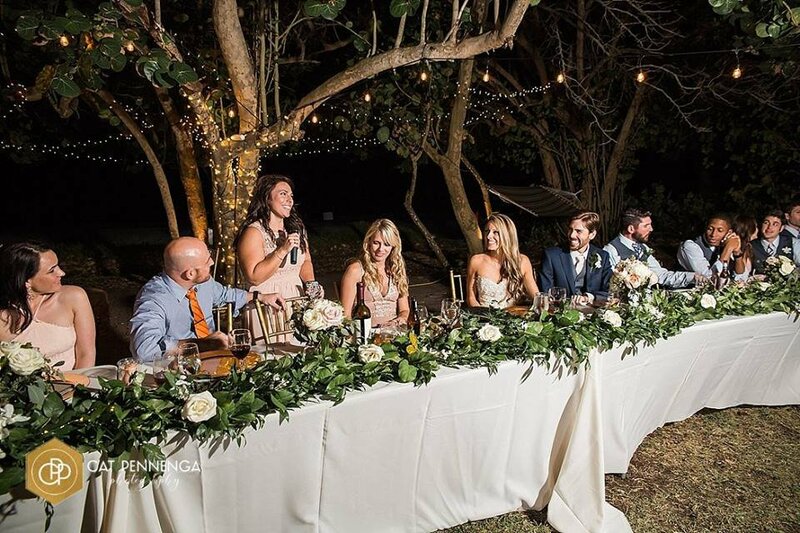 The reception was a stunner as it was right near the beach and the guest table centerpieces were simply magical with fresh flowers and fairy lights! 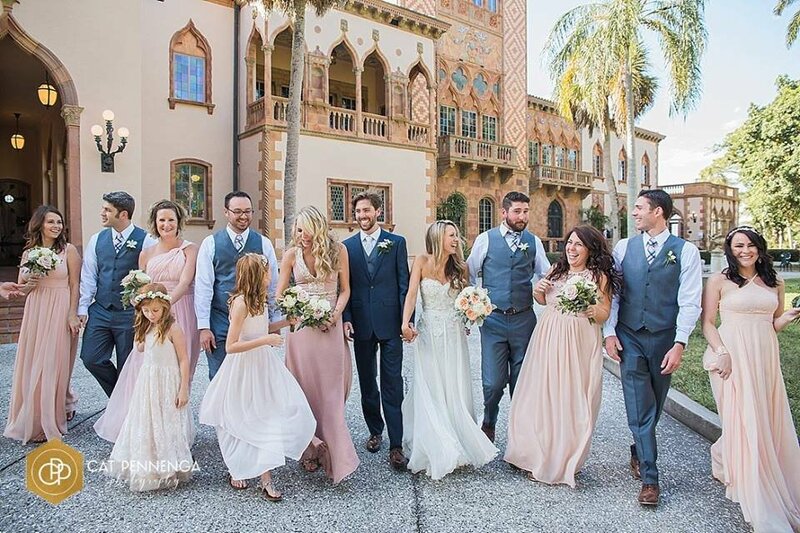 This bride and family chose to do pre-photos after their first look at the Ringling Museum. 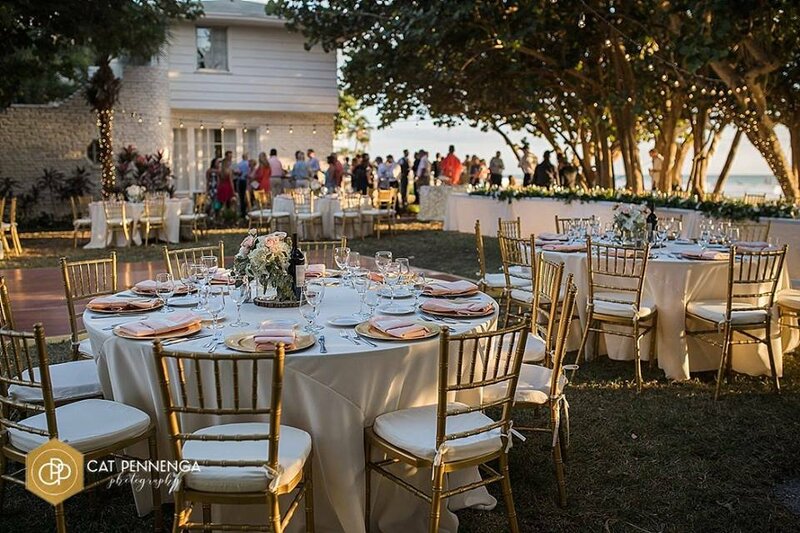 We love the Ringling Museum—it is such an amazing place and wonderful for photographs! 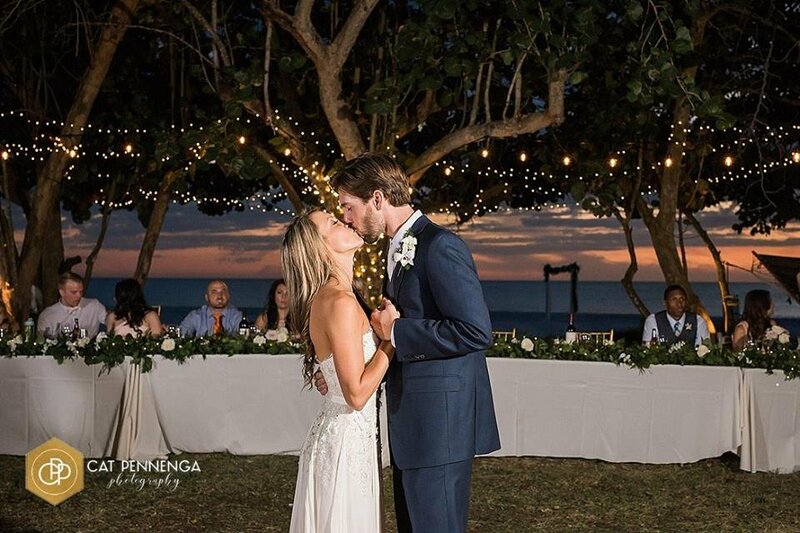 Be sure to check out the gallery below to see all the beautiful pictures. This incredible day would not have been possible without the following vendors. It is always such a joy to work with them! 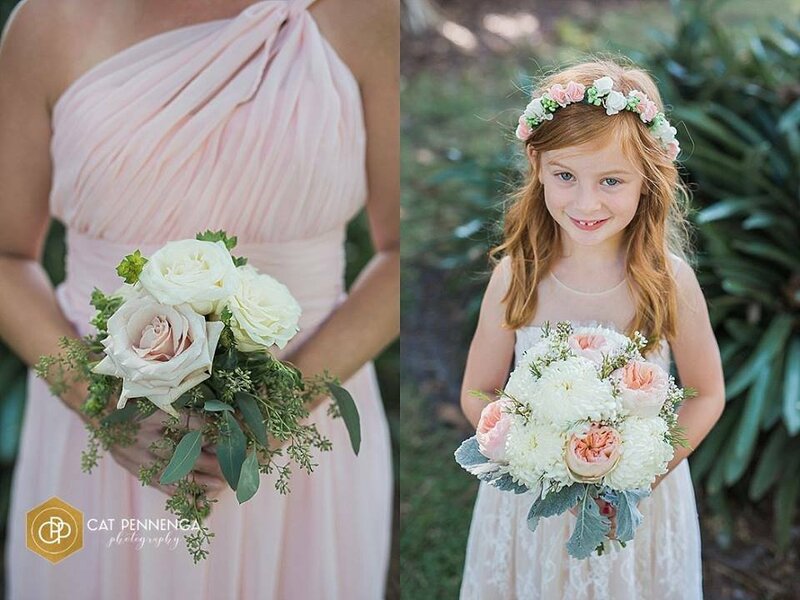 If you are looking for a florist in the Sarasota-Bradenton area, contact us today. 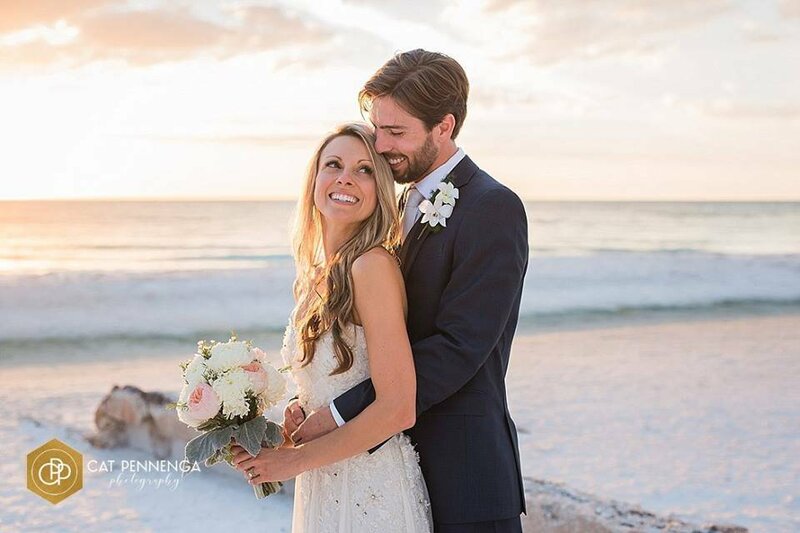 We would be honored to work with you and help make your wedding dreams come true!